The one-of-a-kind vehicle is modified to celebrate the World Series championship and joins the team's victory parade. L.L. 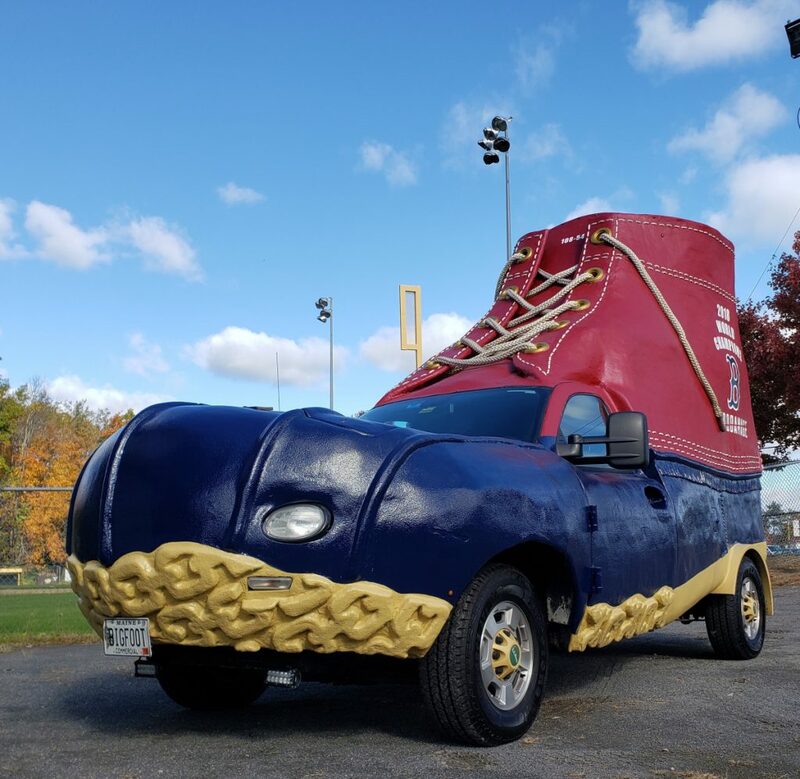 Bean is helping Red Sox fans get a boot out of their recent World Series win. 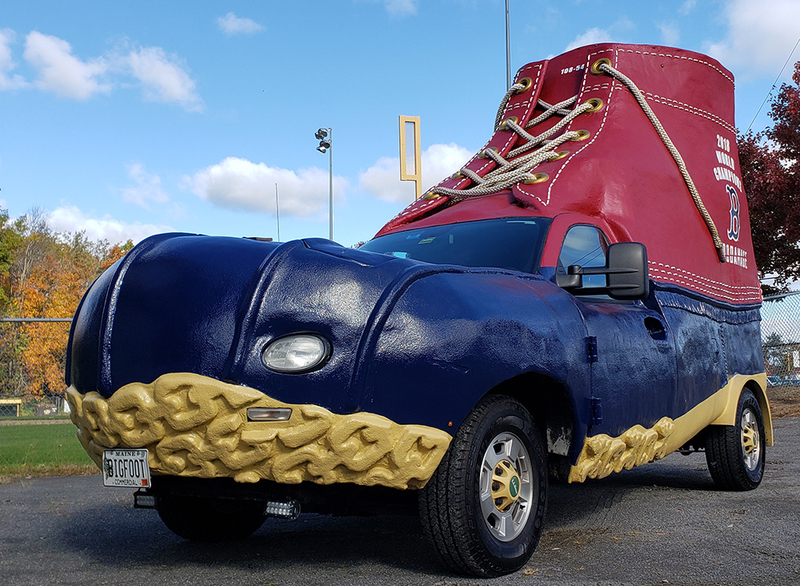 The iconic outdoor retailer in Freeport modified its famous 12-foot-tall bootmobile to incorporate the Red Sox logo as 2018 World Series champs. The vehicle, along with Boston duck boats bearing members of the championship team, drove through Boston Wednesday in a victory parade. The company also created the Red Sox victory Bean Boot, with a red leather shaft and blue rubber soles. Each boot is embroidered with a custom design, including the team’s historic regular season record: 108-54. The boots were made for Red Sox players and staff and won’t be available for public sale.